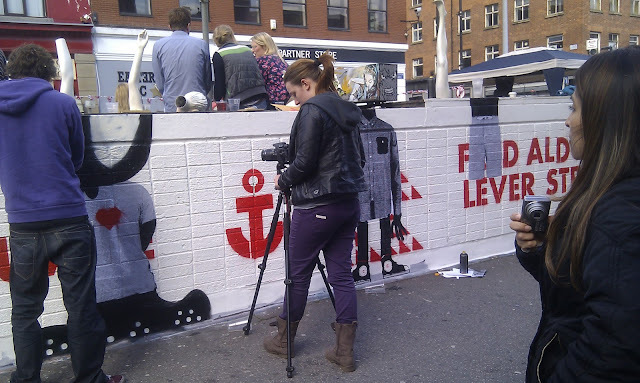 The Quick Red Fox - Manchester Fashion, Food and Lifestyle Blogger, UK: Jubi-late! 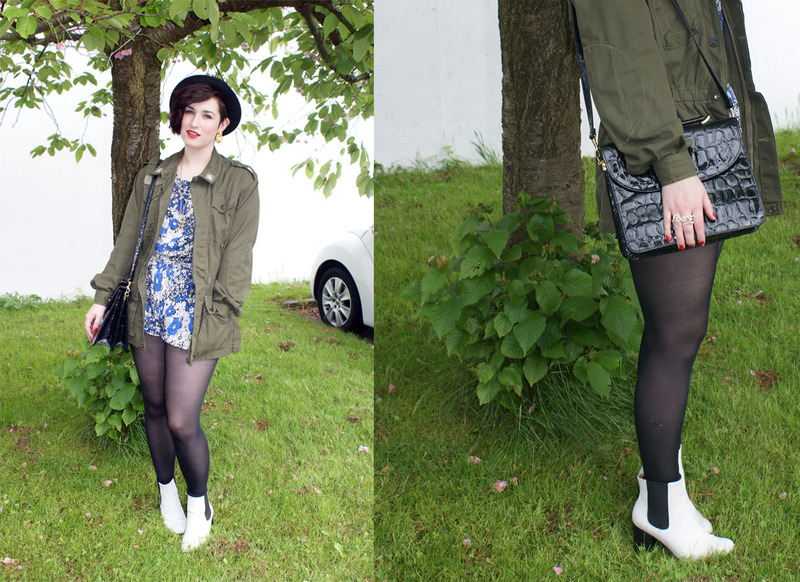 This post has been long overdue- an outfit post from the Jubilee weekend, how long ago was that now?! I'm not especially patriotic but since getting a job where I get weekends and Bank Holidays off as standard (first time in my life! ), I though it'd be rude not to join in with the festivities. 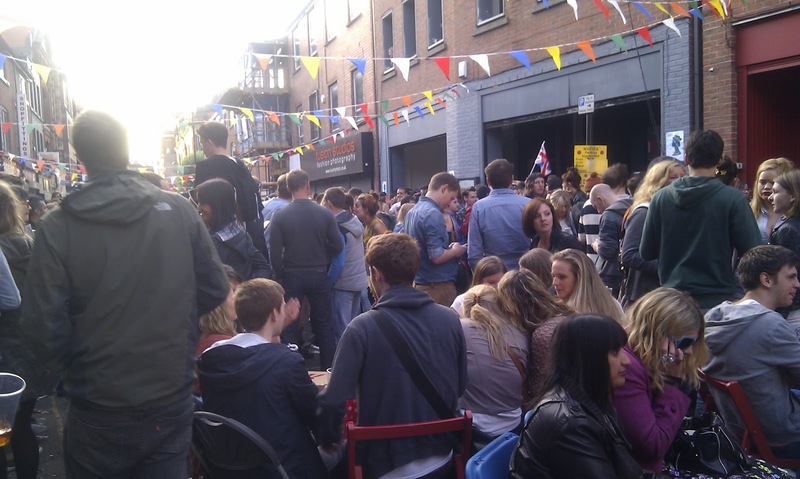 Me and Chris went into town to the street parties going on all around the Northern Quarter. I managed to throw together a pretty royally-inspired outfit, surprisingly. I tried my best to do red, white and blue without looking like Geri Halliwell having fallen into a basket of bunting and face paint. I wore red lipstick (Mac Red, Mac) and nails, blue and white floral on my playsuit and my new white heeled Chelsea boots. The street party was really fun, we bought some drinks from a corner shop so I didn't spend much money and got steadily rather tipsy throughout the day! I also baked scones for the occasion! Hope everyone had a lovely time too, if you can even remember- was that long ago now! You looked so nice! I'm in love with that playsuit and it goes so well with the army jacket! Lovely outfit, I love the playsuit! Your your outfit is lovely, and the street party looks really fun. 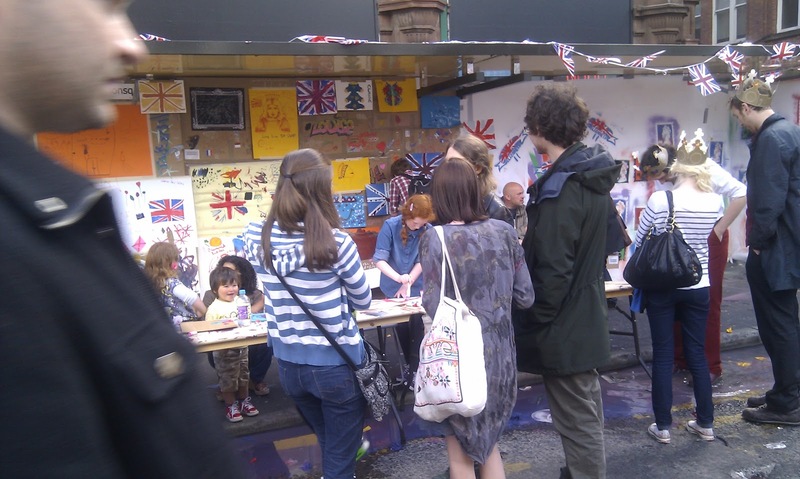 I went to a street party last year for the royal wedding, and this year there was a jubilee fete which also meant we could raise money for your sixth form ball. I'm not that patriotic either, but a celebratin is a celebration! great post!! Love a patriotic celebration! we went to a lovely village street party! your outfit is great, those boots are awesome and that parka looks very authentic! check out my latest post and my give away! Lol at Geri Halliwell comment - definitely something to avoid!